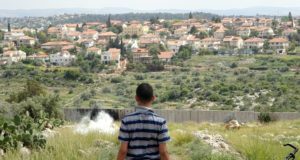 A Palestinian teenager, Yousef Ahmad Younis Amira, was shot in the head with rubber coated steel bullets by Israeli forces in the Palestinian village of Nil’in. According to ISM volunteers staying in the village, approximately 200 boys and young men from the village protested against the military presence in the afternoon. The army responded using sound bombs, rubber coated steel bullets and tear gas. 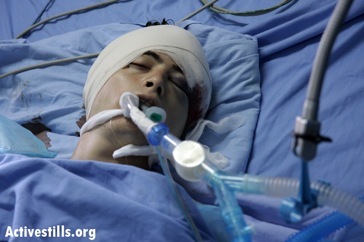 At around 7:30 pm, Yousef Ahmad Younis Amera was shot in the head by two rubber coated steel bullet. 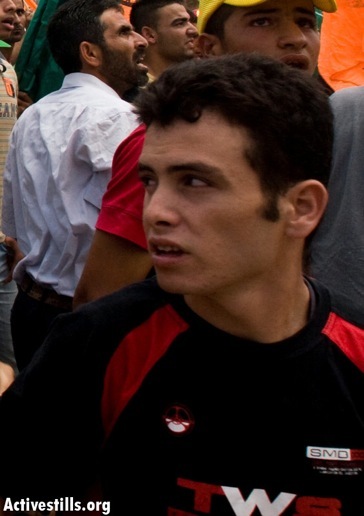 Eyewitnesses claim that Yousef was shot at a distance of ten meters from inside a military jeep that drove up towards him. He was taken to Ramallah Hospital where an ECG scan showed no signs of brain activity. One bullet penetrated the head while the other is stuck inside. He is now kept alive by respirator. 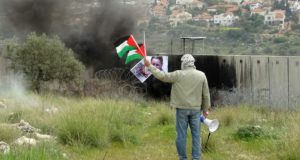 About 50 Israeli soldiers then attacked using sound bombs, rubber coated steel bullets and tear gas. 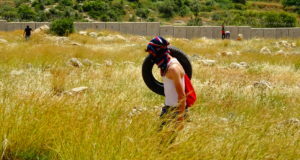 At around 7:30pm, Yousef Ahmad Younis Amira, 17, was shot in the head by a rubber coated steel bullet. He was taken to Ramallah Hospital where an ECG scan showed no signs of brain activity. There are reports of two other men suffering head injuries from a rubber coated steel bullets, but these injuries are not thought to be life threatening. A total of 17 people are thought to have been injured in today’s fighting.